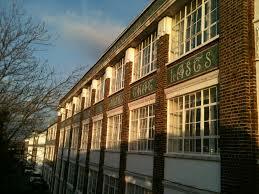 Nine rooftop flats have been approved for the old Dubarry perfumery building between Fonthill Road and Hove Station. More than 80 neighbours objected to the proposals as did Jason Kitcat, the former leader of Brighton and Hove City Council. He now works for accountancy firm Crunch, one of the building’s tenants. There were concerns about the potentially harmful effect of adding an extra floor to the historic building. But it was pointed that the building was not listed by, among others, Councillor Phélim Mac Cafferty, who used to chair the council’s Planning Committee. A report to the committee said: “On balance, the impact of the proposed additional storey on the appearance of this non-designated heritage asset is considered acceptable having regards the nature of the significance of the building and the public benefits of providing addition housing units given the absence of a five-year housing supply. Noise was a concern and was raised by, among others, the Councillor Julie Cattell, who chairs the Planning Committee. But the council had not received any formal complaints for two years. Councillor Maggie Barradell, Councillor Joe Miller and Councillor Lee Wares said that they felt the proposals improved the skyline and the building. Councillor Leo Littman was concerned that the public benefit did not outweigh the harm, particularly as none of the flats would be affordable homes. Councillor Penny Gilbey and Councillor Michael Inkpin-Leissner also set out concerns. The committee, meeting at Portslade Town Hall this afternoon (Wednesday 9 December), approved the application subject to conditions.